Microsoft has made a temporary fix available for the zero-day vulnerability until it can deliver a formal patch. Be particularly careful if you are using versions 6, 7 or 8 of the IE browser. Versions 9 and 10 are not affected by the vulnerability. Check which version of IE you're running by opening IE, click the Help question mark icon on the right and choose About Internet Explorer. 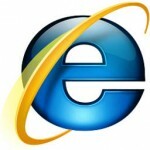 To upgrade an older version of IE, go to Start > Control Panel > Windows Update. We recommend switching browsers for a more secure one like Google Chrome. In addition to being more secure than IE 8, it is also faster and supports HTML 5, giving you a better browsing experience. Download free Google Chrome here.